Digital process automation is an evolution of part of business process management (BPM), in that it’s all about optimising your processes and practices to allow your team to focus on the tasks that matter. Unfortunately, it’s also something that’s described vaguely and with plenty of jargon. We here at Process Street hate describing things in vague terms, so here’s a short summary to tell you exactly what it is. Digital process automation is the practice of digitising your processes and systems, then automating information transfer to allow everyone free access to anything they might need to know or use. In other words, it’s keeping your systems up to date to the point where everyone in your organisation can do their job without having to wait for information or request access to anything they need to use. If you’re a regular reader then this concept will sound familiar – it’s almost beat-for-beat the same as business process automation. There are, however, a few key differences. First, digital process automation includes the stage where you’re digitising your processes. Business process automation tends to assume that you have your processes documented digitally and can almost immediately jump into the automation stage. Second, while digital process automation tends to be applied solely to business processes, it’s not entirely limited to them. The theory and techniques for digitising and automating business processes are applicable to pretty much every repeatable task you carry out. Third, digital process automation focuses more on the human element of the operation than the resulting system. While the system is vitally important, the ultimate goal is to allow a team to interact with customers while knowing everything they might need to know. 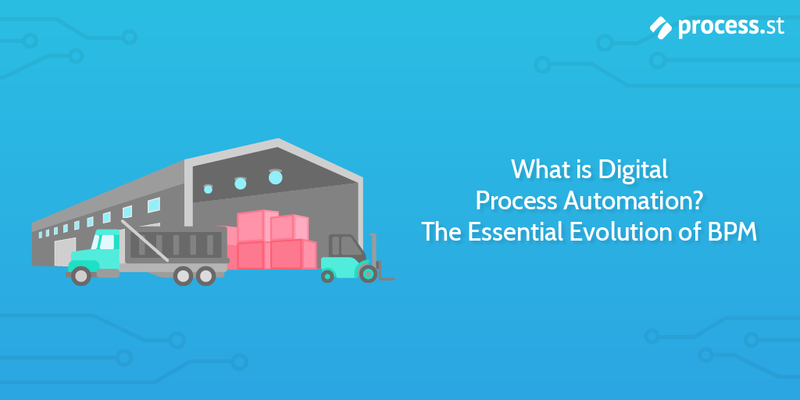 Aside from those three elements, pretty much everything about digital process automation can be taken as read if you already know about (and successfully implement) business process automation. In practice this means that you need to be digitising and automating your processes with a customer-and-employee-centric goal in mind. Unlike with business process automation, you can’t aim to increase efficiency and leave it at that. That’s not focusing on your human elements. It’s also a great way to lose track of what you should be focusing on. Instead, your process improvements and the things being digitised should be planned with a mind as to what doing so will achieve in improving your customer experience. For example, let’s say that you get multiple complaints from customers that the items they want are out of stock. This should indicate that you need to focus some of your business process management efforts on your inventory management system. However, it also shows that you need to clear up the flow of information to your customers. That’s where digital process automation comes in. It’s not under digital process automation’s scope to completely overhaul your inventory management system (although that might come as a necessity). Instead, it focuses on allowing the free flow of information and automation of small tasks to let your customers (and customer-facing employees) have access to everything they need to know. Key to digital process automation is the idea that any improvement you make needs to be done with your customers in mind. If it doesn’t improve your their customer experience, it’s not part of digital process automation. To that end, the first step to putting a digital process automation plan into action is to know what your customers want and what they (and the teams serving them) need to know. If something could affect your customers’ overall experience with you, it’s something you should be able to document and consider when thinking about what needs to be automated. 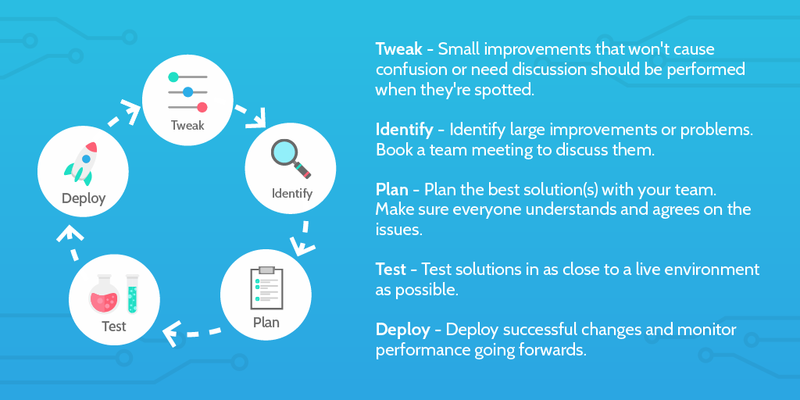 This will help not only to show what you need to focus on when working on your processes but also what processes you should be focusing on first. While most types of automation are focused on saving time, money, and effort, this customer-centric approach can at times make digital process automation at odds with that. Sometimes the best way to improve your customer experience through automation won’t necessarily cost less than your current system. If all you’re trying to do is save money then you’re not putting your customers first. Now we get to the good part – how to digitise your processes. This is something we’ve covered in-depth in both our business process management and business process automation guides but, for the sake of being thorough, I’ll blast through the method here too. The key to digitising any process is to first make sure that your processes are documented. This will help you know the scope of the process you’re trying to digitise (so that you don’t have one process be too long to ever realistically complete). Not to mention that knowing exactly what your processes are for various tasks is never a bad thing. The next step is to use those process documents as a template for building digital versions within a process management tool. Although you could use a basic setup and write out the tasks for each process in a free program like Google Sheets, the limitations it has in terms of integrations, customization, and user-friendliness (to a basic user) makes dedicated bpm software a much better choice. If you don’t already have a bpm tool lined up, click here to try out Process Street for free. Process Street lets you document your processes in rick templates which can then be run (and tracked) as individual checklists. Once you’ve transferred your processes into digital form you’re not quite done with them yet. Instead, take the opportunity to improve your processes wherever you can. Try to take a customer-centric mindset when doing this and (if the process involves other people) meet with relevant parties to make sure that the process is both accurate and optimal. Just because your process was documented in a certain way doesn’t mean the team carrying it out actually followed it. That’s why you need to meet with them to make sure that no steps have been made redundant and no shortcuts are being made. Not to mention that there’s likely no-one more experienced with the flaws of your processes than the people using them. Getting their opinion on the matter is a fantastic way to fuels the continuous improvement of your processes as a whole. 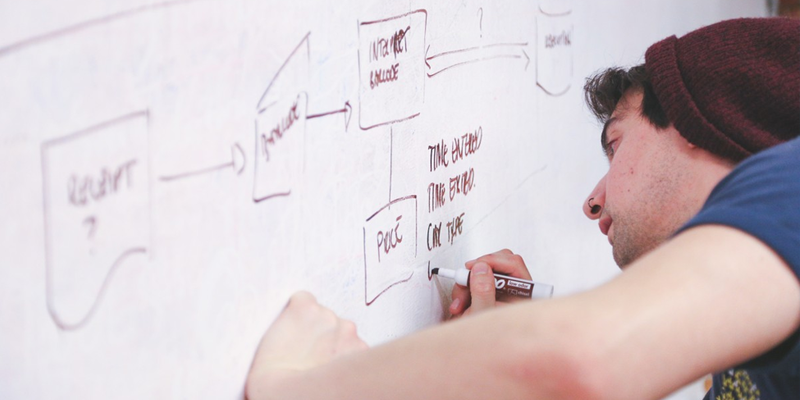 Okay, so your processes have been documented, digitised, and improved to a suitable standard. Now it’s time to automate them. Automating unorganised business processes is difficult if not, in some cases, downright impossible. The lack of a specific task flow and scope makes it impossible to single out any given process, to the point where there’s almost no point in trying. That’s why you need to document and digitise your processes first. Once they’re digitised, the first step is to identify which process you want to focus on automating. This depends on which will provide the most value to your team and customers, and which ones have the greatest potential for automation. Try to find a process which contains a lot of tasks relating to data management, as these are the easiest to start automating. To call back on an earlier example, inventory management is a great one to start with, as getting an automated system set up for your stock numbers will help your staff to field questions about delivery times and remaining stock. Once you’ve picked your process it’s time to dive in and identify which steps can be automated. This depends on the setup you have, the technology you use, and the process you’ve selected but, once again, data management tasks are a great way to get started with learning the basics of how to automate a process. For example, let’s say that you have a task in a regular process which involves copying data from one place to another. It doesn’t matter whether these are stock numbers, item or vehicle IDs, important documents or customer information. The key is then to find a way to automatically push that data to where it needs to go automatically using an automation tool that suits your needs. I’ll mention some tools that can help with that further down but for now let’s assume you’re using Zapier (which can integrate over 1,000 apps). First you need to identify what the “Trigger” and “Action” for each data transfer needs to be. These are the events which come directly before the data transfer (which cause it to be needed) and how the data is transferred, respectively. To make things nice and easy you can use Process Street checklists as the Trigger event. Let’s say you’re trying to update a new customer’s information in your CRM after they sign up as part of their customer onboarding process. In your customer onboarding checklist you could set up fields to let you record all of the customer’s information. Zapier can then detect when the task containing those fields is completed, scan for the information that’s been entered, and push that data into the corresponding fields in your CRM. There are truly too many use cases to count with Zapier (let alone other automation platforms) but check out our post detailing 222 process automation zaps to get an idea of some of the many processes you can automate. Your digital process automation efforts are only as good as your tools, so here’s a few to get you started. Our go-to tool for process automation, Zapier integrates with over 1,000 other apps to let you automate almost anything you can think of. With highly customizable filters to prevent Zaps from firing when you don’t want them to, the ability to trigger more than one Action from the same Zap, and much more, Zapier’s only real downside is that its business-oriented plans aren’t free. Then again, with the automation power that it provides, you’ll more than make your money back from the subscription. IFTTT is a less-business-oriented version of Zapier which is easier to use but more basic in its abilities. Rather than having in-depth filters or a vast array of SaaS apps to choose from, IFTTT is great for personal automation. As a result you can do things like turning on your heating when you get home or (if you have the tech) making your garage door open automatically when you finish your drive back at the end of the day. While not a dedicated automation app, Process Street is a powerhouse in process management and has its own integration system which you can use to create custom links to run checklists from inside other apps. To learn more, check out our article on creating checklist run links. Microsoft Flow is a mix between IFTTT and Zapier, in that it has Zapier’s business focus with IFTTT’s slick design and simplicity. If neither of the other two automation services work out for you then give it a go but, judging by user reviews, there’s not much benefit to trading the options that Zapier provides for powerful, custom integrations. It’s worth a try but ultimately I’d recommend giving Zapier a go first. Get out there and get automating! You’re armed with the knowledge, so now it’s time to get automating. Remember to focus on what will benefit your customers and how to make sure that the automations you set up won’t break due to fringe use cases. Start off simple and work your way up to larger processes. Don’t despair if something isn’t perfect or if you haven’t automated absolutely everything that you possibly can – everything you automate is one less task that you and your team has to manually tackle. After all, isn’t the point of automation to stop us needing to do the tasks that we shouldn’t have to? Do you know of any other killer automation platforms? let me know in the comments below! You can also check integromat, a newer, cheaper than zapier. (I’m not affiliated with them, anyway).